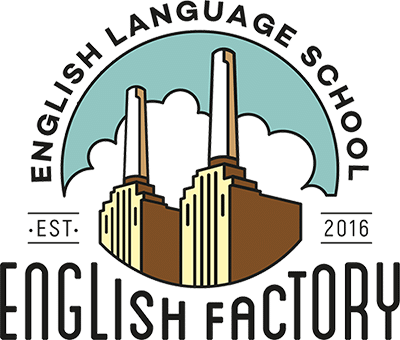 Haz este test totalmente gratuito y descubre cuál es tu nivel de inglés en menos de 50 minutos y sin ningún compromiso. Son ejercicios con los que evaluaremos tu nivel de agilidad gramatical, tu vocabulario y tu comprensión auditiva. El resultado de este test es orientativo, pero te ayudará a saber tu nivel aproximado. I really wish they ____________ me about that job. I just want to know if I’ve got it or not! I need to get a _________ ticket because I am coming back this evening. We had to ___________ the car and walk home when it broke down. If only he _________ us the truth! I wonder why he didn't? If Muse is playing at the festival this year, then I ____________ definitely go. The first time the people try sky-diving they sometimes lose their _____________ and can't jump out of the plane. I'm happy at my place of work but there aren't many ____________ opportunities. Have you managed to work ____________ how much overtime we've earned this week? I enjoy working there, ___________ there's a lot of pressure at times. I have an interview next week ____________ I'm going to get something smart to wear. Can I borrow your computer ______ I can do my CV? They _____________ make their beds every morning, but they never did. To be successful you often need to overcome_____________. My bag __________ stolen, I can't find it anywhere and I definitely had it with me. In order to achieve things you need to _______ yourself goals. To perform well in sports you need to be able to cope _________ pressure. You should always try to focus ___________achieving your goals. Listen to good advice if you want to succeed ____________ life. I don't like people who are __________. They're only interested in themselves. When I was sixteen, I _____________ play football for hours after school – I loved it! A. Lester Morlang was buried in an avalanche in Colorado. There was no warning. It was instant. All of a sudden I was curled up in a ball. Then it was over and I was buried under about fifty feet of snow. It was totally dark. My mouth was packed with snow and the pressure was enormous. It was hard to breathe and I didn’t know which direction was up. I thought I was already dead. Luckily I had my hands over my face so I cleared the snow out of my mouth and then I started screaming. I absolutely lost it – I was out of my mind, and then I noticed my tears were running across my face so I realised I must have been lying upside down. Now I felt determined to get out. I dug for twenty-two hours, and when I finally saw the first little bit of light I was over the moon, although it was fourteen hours before anyone found me. B. Rod Herd was on a boat with the New Zealand Police Search and Rescue team when he nearly drowned. When we hit the wave, I was thrown against the window, which smashed and let in a tremendous volume of water. There was no air, just pitch darkness, noise and violent movement. I had no idea the boat had overturned. I felt sad, anxious and despairing, and the fear of drowning was unbearable. I couldn’t hold my breath any longer and at this point I had a vision of my wife and sons waving me goodbye, and I felt at peace. But then I grabbed a stair rail and found myself back in the real world. I managed to pull myself up to the surface and then had to deal with the shock and hypothermia. Trying to stay afloat kept my mind off it, although I had to fight the desire to go to sleep. When the helicopter arrived soon afterwards, I vividly remember feeling disconnected from the people who were there to save me. C. John Neidigh survived a tornado in Mississippi. I heard the warning on the television and had just enough time to lie down and cover my head with my arms. The feel of a twister approaching is like a goods train – that low, ever-louder howl and the shuddering ground. First, a sheet of rain sprayed against the side of my trailer machine-gun fire. I could hear trees snapping, and the roof began to come off as the trailer started moving up and down. Just as I felt the entire trailer lift off the ground, I lost consciousness and woke up in a tree, and then dropped to the ground. I had concussion, a collapsed lung, cracked ribs and a shattered leg. These things should have killed me but the surgeons sewed me back together again. D. Max Dearing was on the golf course in North Carolina when lightning struck. It happened on a lovely July afternoon while I was playing golf with friends from work. When it started to drizzle, we decided to get under a shelter. We were standing there teasing each other and I remember the air had an unusual sweet smell. When the lightning struck, I felt absolutely frozen but then part of me was boiling hot too. I saw these flashing lights and there was such an incredibly loud noise that I couldn’t hear anything for a while. My arms and legs felt heavy. Every bit of my body – including my hair, my eyelashes- hurt. It was a dull ache and yet so sharp at the same time, like a bad headache and needle being stuck in every part of your body. Which person remembers panicking about the situation he was in? Which describes his efforts to stay awake? Which person mentions being in pain all over after the incident? Which person assumes he must have been thrown up into the air? Which person believes that crying helped him to survive? Which person describes the multiple injuries he received? Which person remembers the long wait before being rescued? Which person mentions the temporary deafness he suffered? Which person says he was unable to relate to his rescuers? Which person talks about experiencing big variations in body temperature? You are going to listen to a radio interview with a psychologist called Max about birth order. Listen and choose the best answer, A, B, C.
According to Max, what is the reason for oldest children's results in intelligence tests? Parents expect more from the oldest child. Oldest children spend more time alone. The oldest child benefits from teaching younger siblings. What typical characteristic of oldest children does Max share? he experienced jealousy of a sibling. he always wanted to please his parents. Personality can also be affected by other things. Personality can change when people are away from their families. Personality is too complicated to define simply. Listen to an interview in which an explorer called Leo Stone is talking about a book by Henry Worsley on his expedition to the South Pole. Choose the best answer A, B or C.
What does Leo say about Henry Worsley's team? They had never considered doing a trip to the South Pole before. They had personal reasons for wanting to complete the journey. They were trying to break a world record. What does Leo say was the hardest thing for Worsley’s team before the expedition? What does Leo say was easier for the twenty-first century expedition than for Shackleton's expedition? What does Leo admire about Shackleton? Complete the second sentence so that it has a similar meaning to the first sentence, using the word given. You must write between two and five words, including the word given. People expect tourists to carry sticks to protect themselves from curious monkeys. Tourists sticks to protect themselves from curious monkeys. Thai people know that the giraffes are a huge tourist attraction. Giraffes a huge tourist attraction by Thai people. Reports claim that twenty top chefs have been invited to prepare the meal. It twenty top chefs have been invited to prepare the meal. Nearly all the shops in this town are expensive. There shops in this town. My brother often arrives unexpectedly. It's very hard for Alex to get up in the morning. I wasn't invited to the party and feel sad about that. I invited to the party. Heidi stayed with a friend when she went to London. A friend when she went to London. Learning to sew seemed a waste of time to Lisa. Lisa couldn't learning to sew. Liam has decided not to go to football practice any more. Liam has decided to football practice.